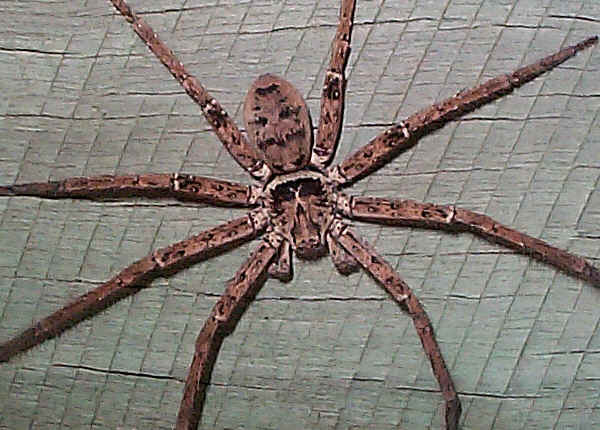 This page contains pictures and information about Brown Huntsman Spiders that we found in the Brisbane area, Queensland, Australia. 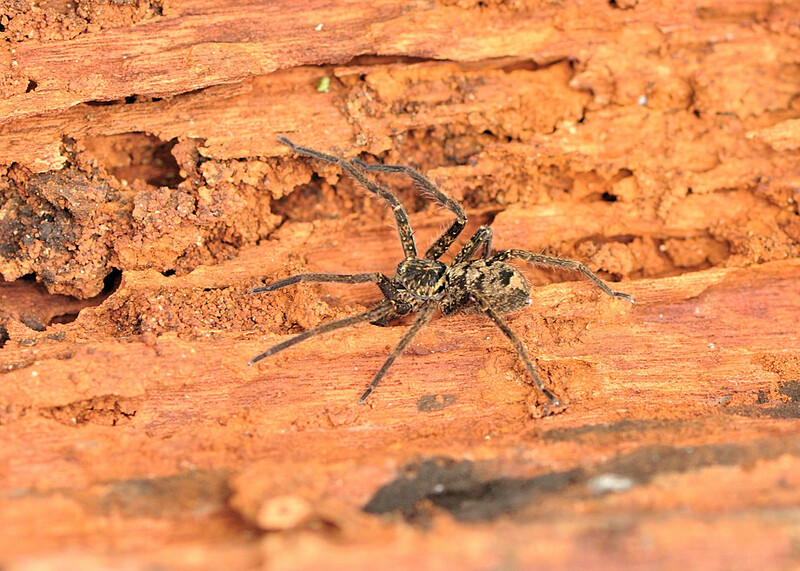 Heteropoda jugulans and H. cervina are very similar appearance and we may have mixed them up in this page. 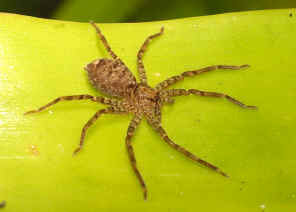 The Spiders are brown in colour, with mottled pattern on flattened body. 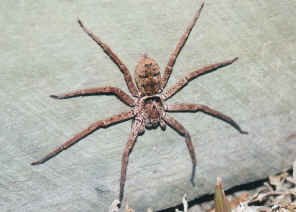 Their crab-like legs are long and enable them to move sideway. 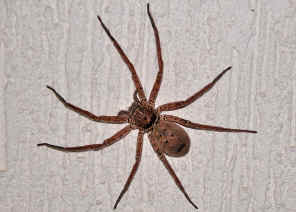 In Brisbane we easily found them at night waiting for prey on wall in backyards during summer season. 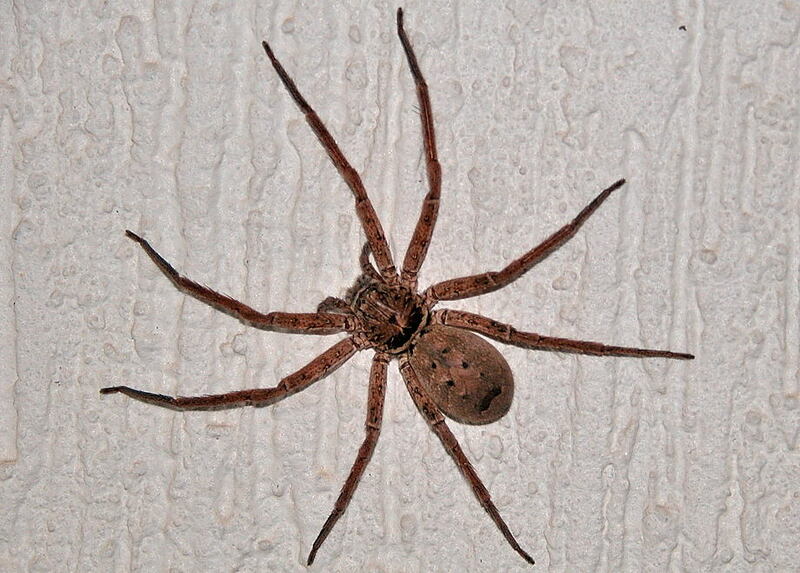 Sometimes they came indoors and wander around on our walls and ceilings. 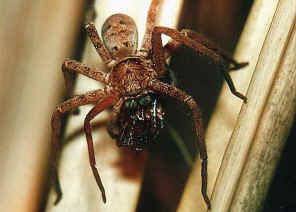 As all other Huntsmen, this Brown Huntsman walk in any direction, forward, backward and sideway, and very fast. 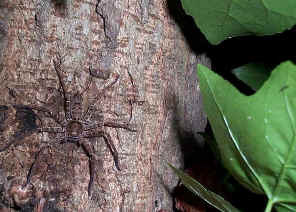 Brown Huntsman Spiders do not build webs but hunts on the ground and tree trunk.. 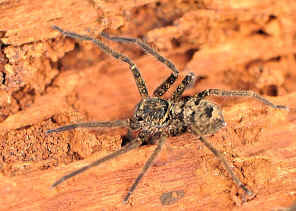 The spiders hide under bark or cracks during day time, active at night. 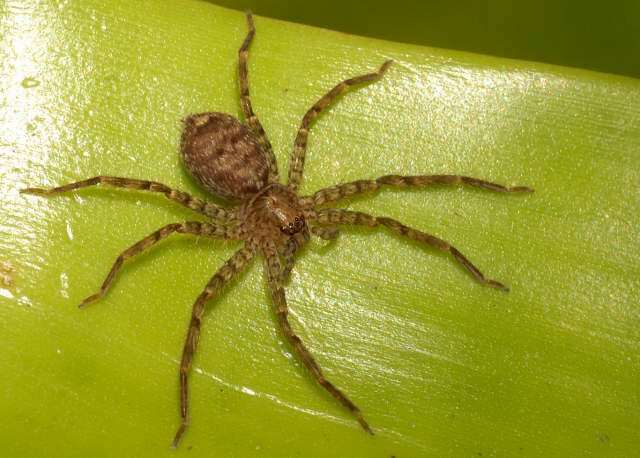 Instead of chasing prey, the spiders usually wait at the spots where insects will come by. 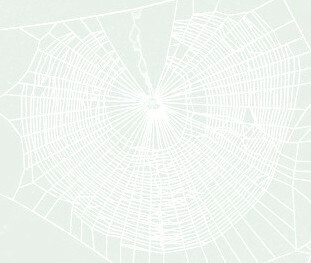 It is believe that the coming and going of insects put down scent trails that the spider can pick up. We took the above two pictures within two days in the same spot. It was early summer at night in our back yard. This spider had been waiting in the same spot for many days. 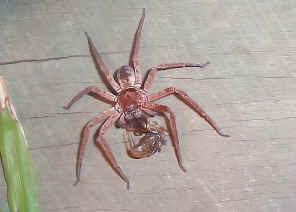 The above second photo shows the spider finally caught its prey. 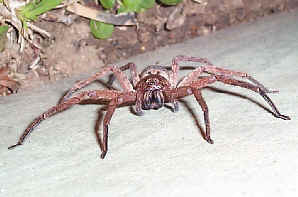 Their body and hairy legs are brown in colour. 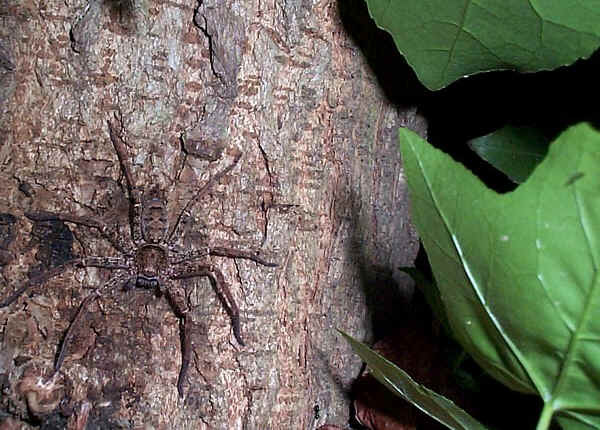 They are well camouflage and not easily noticed when they are waiting prey on the tree trunk. Notice the 'X' mark on carapace. 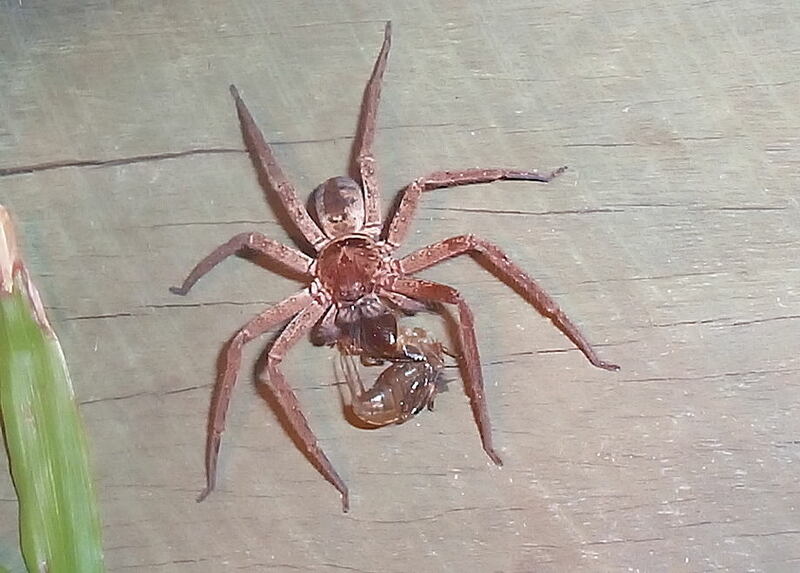 We found that their most favourite prey were cockroaches. 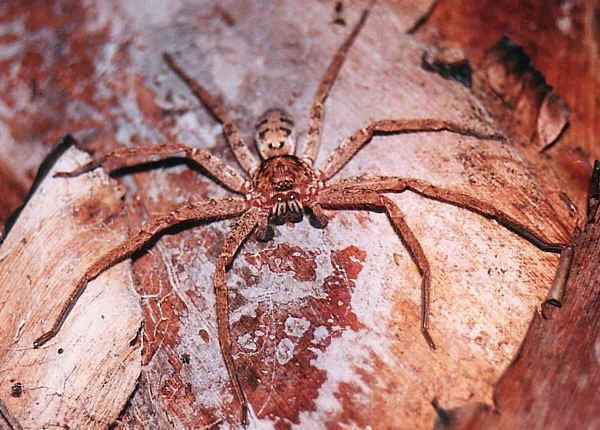 Their body and legs are flattened so that they can fit into the cracks. Cockroaches evolved the flat body to hide into the cracks as well. Huntsman Spiders evolved the flat body to hunt for them. 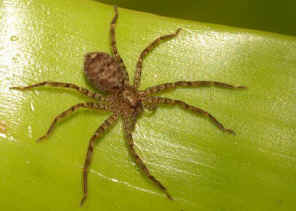 The Spiders have eight small eyes, two rows of four across the front of their thorax. Pictures were taken in Botanic Garden on Sep 2007. Look like a young one of this species. 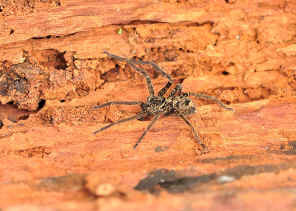 Found the above Huntsman in Ford road Conservation Area on Feb 2011. We turned over a rotten log and saw this spider. Together we also found a small snake. 1. 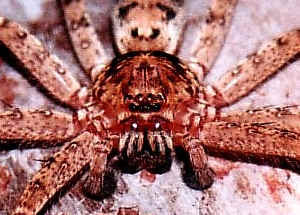 Australian Spiders in colour - Ramon Mascord, Reed Books Pty Ltd, 1970, p32. 2. Wildlife of Greater Brisbane - Queensland Museum 1995, p27. 3. 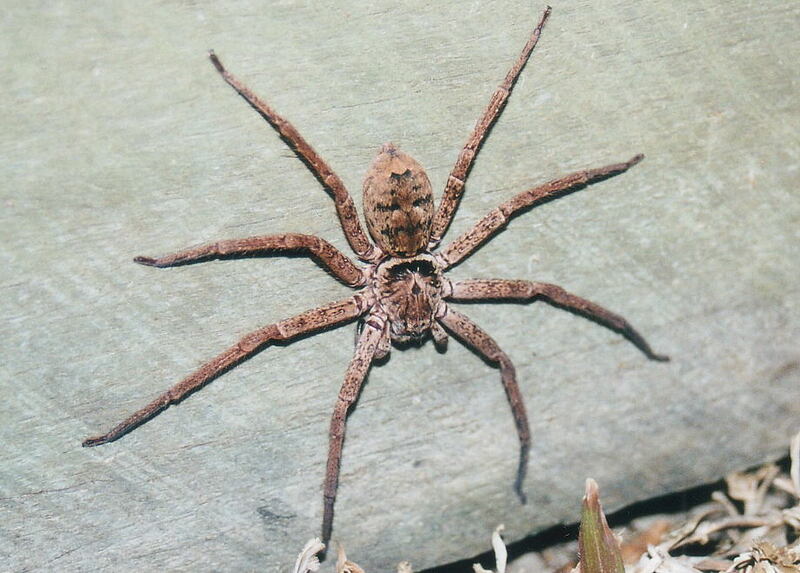 Huntsman Heteropoda cervina - The Find-a-spider Guide for Australian Spiders, University of Southern Queensland, 2009. 4. 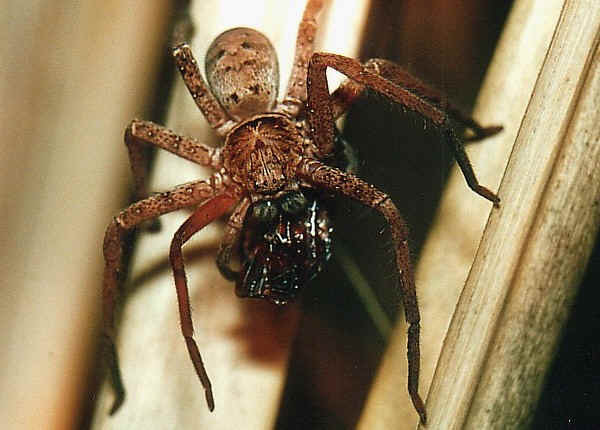 Huntsman Heteropoda jugulans - The Find-a-spider Guide for Australian Spiders, University of Southern Queensland, 2009. 5. Heteropoda cervina (Brown Huntsman) - Save Our Waterways Now.